Another review of the new Gigabyte Radeon HD 5870 SOC compared with the Nvidia GTX 480 and the Nvidia GTX 295 , lets begin with the specifications and features of each card. 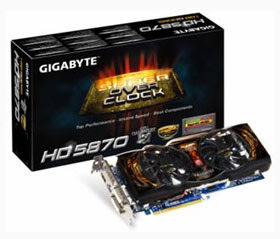 GIGABYTE, introduces a powerful new addition to its Super Overclock Series: HD 5870 SOC. To qualify for Super Overclock Series, a GPU must go through GIGABYTE’s innovative GPU Gauntlet™ Sorting process and it must be equipped with Ultra Durable VGA or VGA+ boards. Designed specifically for overclocking competition and gaming battle, GIGABYTE’s secret weapon HD 5870 Super Overclock Edition is built with ATI RadeonTM HD 5870 GPU. 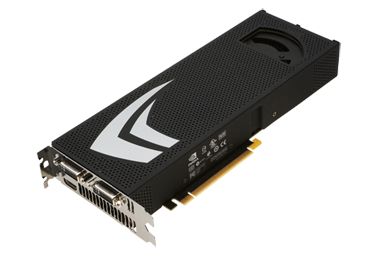 Based on 40nm processor and advanced GDDR5 memory technology, the powerful new GPU consists of ground-breaking features including Microsoft DirectX® 11 and ATI Eyefinity Technology which leads to incredibly immersive HD gaming experience and unrivaled performance. 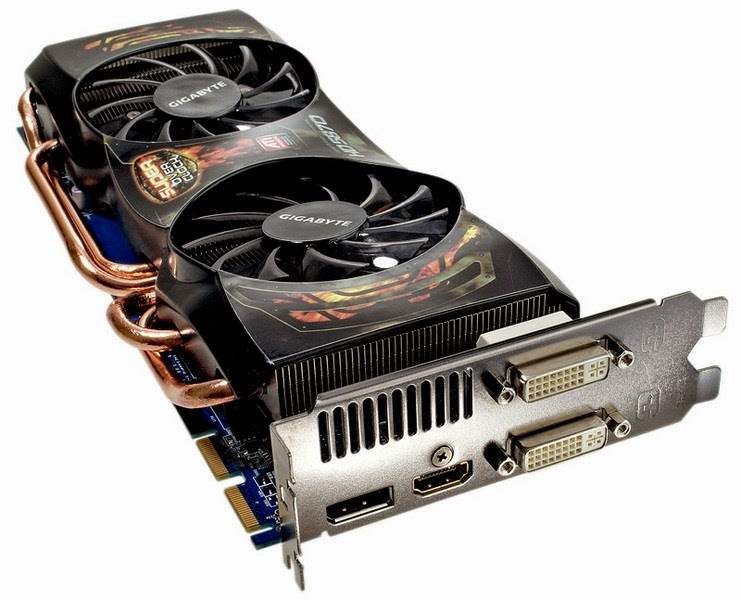 The first products from the GeForce 400 series were launched on March 26, 2010, starting with the GTX 480 and GTX 470. The GTX 480 is the highest-end model from the GTX 400 series and comes with 480 CUDA cores, a 700 MHz core clock speed, 1401 MHz shader clock and 1.5 GB of GDDR5 memory. The GTX 470 comes with a lower 448 CUDA cores, 607 MHz core clock, 1215 MHz shader clock and 1.25 GB of GDDR5 memory. Launch MSRPs were US$499 and US$349 for the GTX 480 and GTX 470 respectively. As of yet, no product in the GF100 line has been developed with the initial specification of 512 CUDA cores, and the clock speed is lower than originally anticipated. 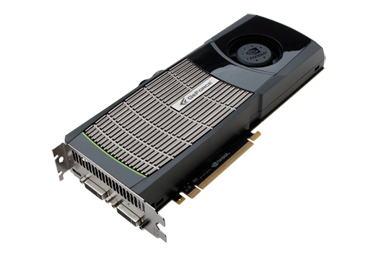 The GeForce 200 Series is the tenth generation of Nvidia's GeForce graphics processing units. The series also represents the continuation of the company's unified shader architecture introduced with the GeForce 8 Series and the GeForce 9 Series. Its primary competition came from ATI's Radeon HD 4000 series.